The first match of Euro 2016 quarter-stage is on schedule this Thursday, and in Marseille at the Stade Vélodrome Poland led by Robert Lewandowski will play against Portugal and Cristiano Ronaldo. In the round of last 16 both teams had a luck of winning the games, Poland against the Swiss after a penalty shootout and Portugal from the only shot on goal in the 117th minute of an extra time, dumped the Croats. For this introduction let’s say that the last game between Polish and Portugal ended goalless, four and a half years in a friendly match played in Warsaw, while in qualifying for Euro 2008 Poles celebrated at home with 2: 1, while in Portugal, it was a draw – 2:2. Poland has a great opportunity to book the semi-finals stage if they manage to beat Portugal, which would certainly be an enormous success for this generation led by great attacker Lewandovski. However, while on mention of Poland all eyes were on Bayern Munich striker, in attacking part so far he didn’t do a lot, still with his team-mates he did a great task in defensive, especially in the group stage, which Poland ended with two wins and one draw, without conceding and. The only draw in group stage, Poland played against the world champions, Germany, while against the Northern Ireland and Ukraine, Lewandowski and co., celebrated with a minimum 1-0 win. With those results Adam Nawalka’s men have ended the group stage on the second place and in the last 16 stage of Euro 2016 they’ve got Switzerland, team for which many have said that the chances are 50-50. The result has shown exactly that as the regular time ended with 1-1, in extra time nets remained clean, and a winner was decided on penalties. There the Poles showed remarkable concentration and scored from all five shots, while for the Swiss, Xhaka has missed. As for the starting lineup, we believe that Nawałka on pitch will send the same 11 players as against the Swiss, especially as the first goalkeeper Szczesny remains doubtful. Portugal unlike the Poles who so far in the competition enrolled two wins and two draws, Portugal’s footballers have secured a place in the quarter-finals without any wins in 90 minutes of any of the four games they’ve played so far. With much luck in the eighth finals against Croatia only three minutes before the penalty-lottery via late substitute Quaresma, Santos’s men came to the big victory of 1:0, in a game where they were mostly oriented on their defense. However, once again it was proved a better team doesn’t always win and that the Portuguese, led by experienced coach Santos, adapted well in that match, made changes on time, which was a key to their success. Before the last 16 stage, Portugal ended the group stage on the second place after playing three draws, scoring four and conceding four goals, against Iceland, Hungary and Austria. However, against Croatia, Santos’ team had a very difficult job, and a win in that game should only boost team moreale and further strengthened the team for the clash with the Poles. 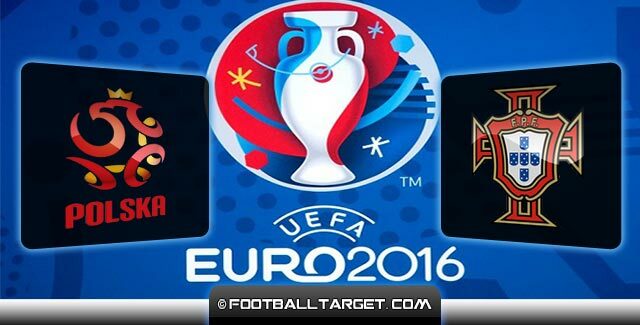 A win means that in the semi-finals stage, Portugal could play against Belgium and Wales. All this only tells us that this generation led by Real Madrid superstar Cristiano Ronaldo has a great chance to even book the Euro 2016 final, therefor we expect something more open approach than in the match with Croatians, especially since they do not have any problems with injuries. Match Prediction: Despite the fact that the Poles did not concede a lot and the fact that Portugal’s defense against Croatia was on a top level, both teams should open up a little in this game and that’s why we expect to see two or more goals. If you look to place a bet check bethut.co.uk for the best odds on this game.